Group 1 hero The Autumn Sun will be conspicuous by his absence when the some of the finest three-year-olds in Australia compete for the ATC Australian Derby on Saturday. Chris Waller’s superstar has already won the Randwick Guineas and the Rosehill Guineas this year. He had the opportunity to become the first horse since It’s A Dundeel in 2013 to win the Australian Triple Crown of Thoroughbred Racing, but connections feel he has done enough already this year. He may race abroad in the future or he may even be retired after just nine starts as he will be a valuable stud proposition. His absence blows the field wide open at the Australian Derby this coming weekend. This $2 million set-weight race for three-year-olds is the premier event for stayers in Australia and it will be strange to see The Autumn Sun missing. A look at the odds at the top-ranked betting sites shows that Chapada and Arrogant are now vying for favouritism for the big race. Global Exchange, Declaration Of Heart, Frankely Awesome and Stars Of Carrum are all given a strong chance among odds compilers. Colts and geldings have dominated the race over the past 27 years, as Shamrocker is the only female to win in that time. Many are saved for the Australian Oaks the following week. 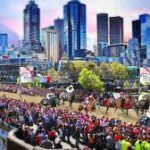 Punters betting on The Australian Derby may find it difficult as there have been only 11 favourites storm to victory in the past 36 years. It can pay to look further down the card, particularly now that The Autumn Sun is missing. 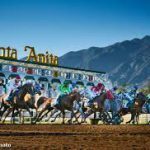 It should now prove to be a thrilling, open and extremely competitive race, and that can offset the disappointment some might feel at no Triple Crown attempt taking place. A Triple Crown winner is a real rarity on the global stage, so it would have made a great story, but it is not to be. Over in England, the National Hunt season is drawing to a close and the flat season is about to begin. The Triple Crown over there features the 2000 Guineas, The Derby at Epsom and the St. Leger Stakes, and no horse has pulled it off since Nijinsky all the way back in 1970. Camelot came the closest to ending that trend when he won the 2000 Guineas and The Derby, but finished second to Encke in the St. Leger. This year’s 2000 Guineas takes place at Newmarket on May 5 and it will be fascinating to see how the favourite, Too Darn Hot, gets on. He is odds-on with some bookmakers to win the race, and he is also the early favourite for The Epsom Derby and the St.Leger, so that will be worth keeping an eye on. In the US, the Triple Crown comprises the Kentucky Derby, the Preakness Stakes, and the Belmont Stakes. Affirmed pulled off this great achievement in 1978, but then there was a 37-year absence before American Pharaoh repeated the feat for trainer Bob Baffert in 2015. Last year, Baffert was back with a vengeance as he saddled Justify to another sensational Triple Crown. US racing fans will now be full of belief that another Triple Crown winner could emerge in 2019. 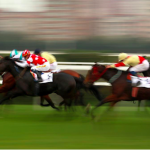 The Kentucky Derby takes place on May 2 and it will generate huge interest across the globe. Right now Game Winner and Improbable are the early names vying to be favourites for the race and they have been the most popular selections among punters. Game Winner was second by a nose in his three-year-old debut in the Rebel Stakes in March but gained valuable conditioning. He comes from the Baffert stable, so expectations are extremely high. Baffert also saddles Improbable and he has displayed plenty of promise, so it will be intriguing to see if either of them prevails in the Kentucky Derby. That would lead to a huge amount of hype heading into the Preakness and it would set the tone for an exciting year in the States.